As I’ve mentioned in “My Story,” I was handed some pretty intense diagnoses before I was finally given the correct one. They were…stressful, to say the very least. And each one put me through its own layer of hell before it was ruled out. The first Outrageous Diagnosis was given in December 2009. I had gone through three surgeries, more procedures than I can count on both hands, and even more antibiotics. We finally came to India, desperate to find some answers. It’s important to note that at this point the disease was only affecting the area above my sternum (to our knowledge–I still hadn’t said anything about my upper thighs because I had no idea they could be related). The bacteria that can cause Tuberculosis can do several different things upon entering your body. There’s a chance that your body will just filter out what you inhaled, and then there’s the more commonly known chance that it’ll travel to your lungs and you’ll develop Pulmonary TB, which is highly contagious and can be fatal. Well, there’s also a third option: the TB can reach your lymph nodes and just hang out there for however long (days, weeks, months, years), then travel to another part of your body and infect it. In order to protect the rest of your body from the disease, a cyst forms around the bacteria and walls it in. This is what we thought had happened to me. 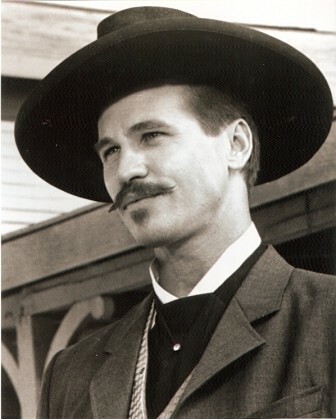 Most people (in the U.S.) associate Tuberculosis with Doc Holliday from Tombstone and assume that it’s extremely infectious and dangerous. The way (we thought) I had TB was not contagious AT ALL, nor was it even potentially life-threatening. I didn’t want to worry anyone or risk the possibility of being unnecessarily quarantined or something of the sort. It was best to just keep quiet about it and go through with treatment. We SHOULD have had a retest done after the results from the culture came back positive, but we did not. ALWAYS INSIST UPON A RETEST. Can you believe how much that would have changed my life? I spent the next year on strong medication (started out taking 20ish pills a day, then it slowly dwindled down to 8ish). Oh, not to mention the fact that I thought I had TUBERCULOSIS. Sure, it wasn’t contagious or life-threatening, but it was terrifying to accept, nonetheless. I was absolutely shocked to my core. Also, some of the medicines I took had bizarre side effects, including turning my urine orange (too much information? ); however, I’ll save listing side effects I’ve experienced for another blog post. It could get excessive. We realized something was wrong when my symptoms came back the following year, worse than ever. I took off for India yet again in October 2010. After seeing 9 different doctors in 9 days with 9 wildly different opinions, we stumbled upon my Knight in Shining Armor who correctly diagnosed me for the very first time. I remember the mixture of relief and horror that washed over me when I first googled “Hidradenitis Suppurativa” and I saw my entire medical history in front of my eyes as I read about every single symptom I had experienced (along with others I had yet to experience). Anyway, I don’t have Tuberculosis. I never had Tuberculosis. Oh, happy day!! This entry was posted in Anecdotes, Hidradenitis Suppurativa and tagged diagnoses, sickness, story, tombstone, tuberculosis. Bookmark the permalink. I had tuberculosis and took medication for two full years. But no side effects at all other than the one you mentioned. In six months i went 10 kilos plus. And have maintained it.